Originally built in 1916 for a wine distributor, it was converted to homes in 1990. The Heublein Building is home to 85 residences at 601 4th St. in the South Beach neighborhood. Home sizes range from about 900 to about 3,000 square feet. Homes are available in loft-style studio, one and two-bedroom layouts. Building amenities include elevator access and a shared roof deck. Originally built as a wine warehouse, this was an early project by the same team that would go on to do 355 Bryant and several other conversion projects. Originally built in 1916 for wine storage, converted to residences in 1990. Homes have at least one car parking, many homes in the building have two parking spots. 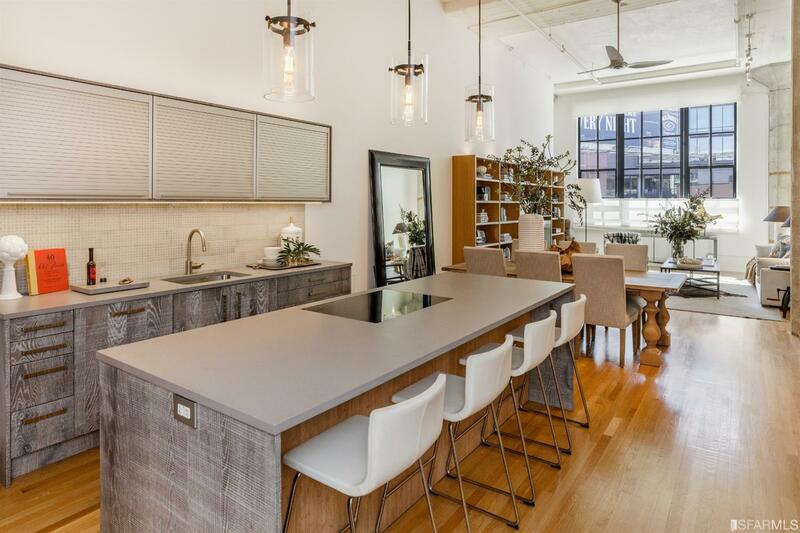 If you’re in the mood for a conversion loft, 355 Bryant and The Oriental Warehouse are worth considering. If you love the location but want more recent construction, The Palms is across the street.